Perhaps second only to Tutankhamun in the who’s-who of Ancient Egypt Cleopatra VII is colloquially known as the Last Queen of Egypt. 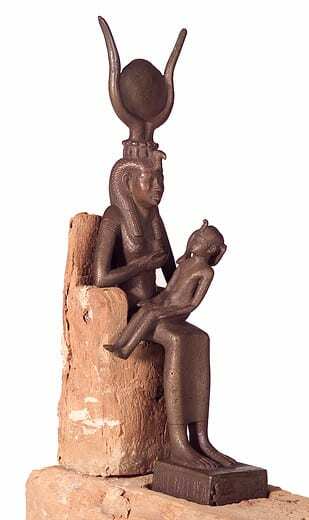 This is a very debatable epithet, whilst she is the last pharaoh of Egypt, she is also the last of Ptolemaic dynasty, a Greek family who ruled Egypt following Alexander’s conquest in 332 BC. Her death, 12th August 30 BC, is chronicled by Plutarch, mentioned by Virgil and exonerated by Horace, she is so renowned her death is sometimes used to denote the end of the Hellenistic era. 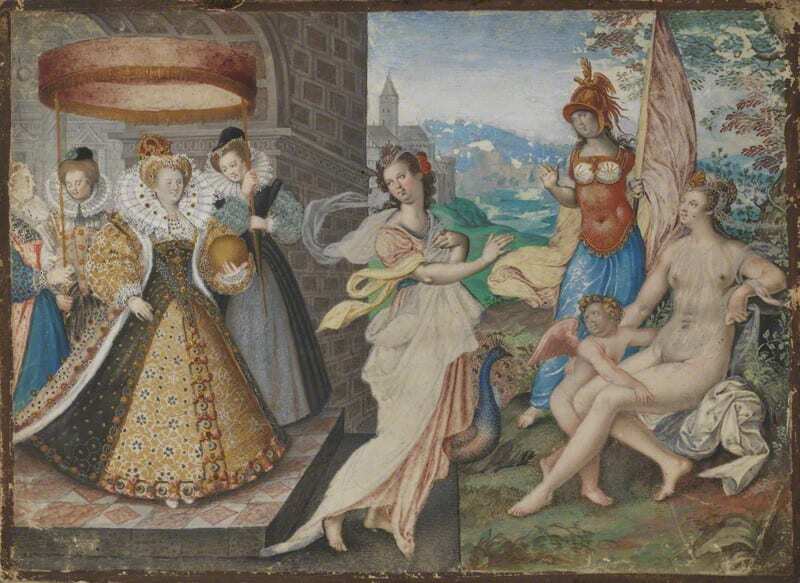 Queen Elizabeth depicting herself with Classical Gods, like Cleopatra and her Isis costumes. Queen Elizabeth, who died 3 years prior to this play’s performance, is quite a similar character. With a slightly dubious claim to the throne, her death in 1603 heralded the end of the Tudor rule. Following the establishment of the Church of England in the 1530’s and the sweeping massacres of Catholics and Protestants alike England had a Catholic Scottish King, James I. For years England had been at war with both Scots and Catholics, and now had that exact ilk on their throne. 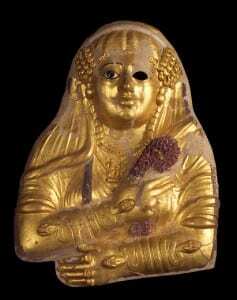 Cleopatra faced similar regency problems; she may have been an originally Greek Queen, but she was barring the advancing Roman Empire from Romanising her country and herself. Here the Queens differ, Elizabeth went on the offence, striking out at Catholic enemies, such as Spain with her famous victory in 1588. Cleopatra had nowhere near the allies nor resources to defeat her foe (indeed she lost her major naval incursion at Actium), so she had to make them. Cleopatra is represented as the Roman goddess of love and founder of Rome, great praise for an Egyptian Queen who defied them. 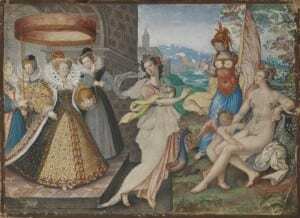 Elizabeth I adopted the character of Gloriana when she gave her rousing speech prior to the English victory against the imposing Spanish foe in 1588. Centuries later this character inspired Benjamin Britain to write his three act opera The Faerie Queene in 1928. 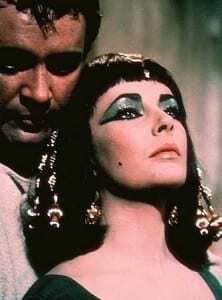 Perhaps Shakespeare was using the character of Cleopatra as an homage to James’ precursor. Cleopatra’s hold over Anthony was so strong he is described as “an appendage of the woman” (Plut. Lives DXII.2). ‘It is indeed most fine’, she said, ‘and befitting the descendant of so many kings’ “. Elizabeth may not have had the romantic death of her Egyptian counterpart, but she certainly faced death in her own life. Her mother was beheaded at her Father’s hands when she was three year old and she had lived to see her sibling monarchs, Edward and Mary, instigate years of killing and persecution of supposed traitors and ‘opposers’ to the throne. Not only are Cleopatra’s armies massacred, but her lover Anthony dies at his own hands, and his son is killed by his own tutor (Plut. Lives. IIDI.1) Both Queens reflect a time of national unrest and war, and both were looked to to prevent further bloodshed. Cleopatra chose to end her own life rather than cessate Egypt, whilst Elizabeth fought until the bitter end, securing her beloved England. I would not for one moment suggest Cleopatra’s rule was a failure; following her death statues of Mark Anthony, a traitor to his own Rome, were defiled and destroyed, whilst Cleopatra’s remained unharmed and left as a monument to the great Queen (Plut. Lives IICVI.5). The Egyptian Queen on Shakespeare’s stage faces her own apotheosis, realising “I [Cleopatra} have nothing/ Of woman in me. Now from head to foot I am marble-constant. Now the fleeting moon / No planet is of mine.” (V.2).